Alice is 55 years old and teaches at Ndhiwa Hospital Primary School, which has its name because it is next door to the hospital! She lives in teachers’ accommodation and as a result stays three kilometres from her family. 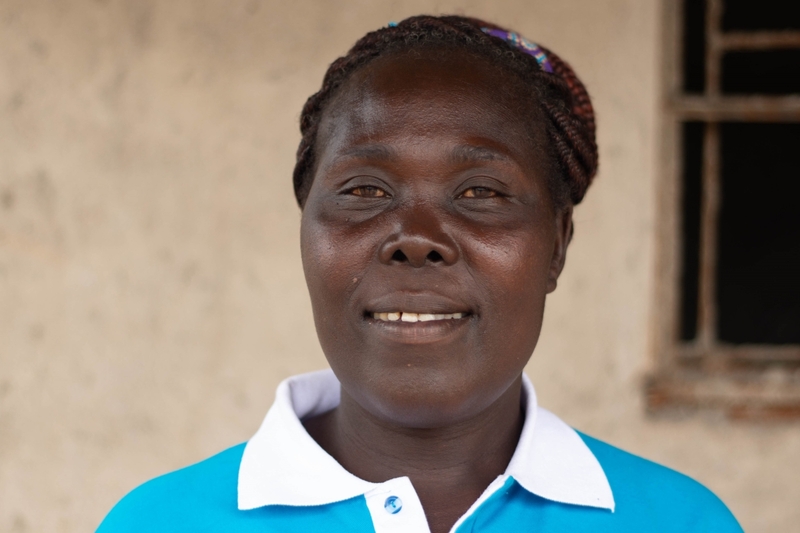 Alice has a husband and eight children; four boys and four girls who range in age from 13 to 30 years old. Her youngest child is in her final year at Ndhiwa Hospital Primary. Team Kenya’s Brighter Futures programme has had a significant impact at Ndhiwa Hospital Primary; “the boys and girls selected in the programme show learning can be done in different ways; ball games, athletics and games”. Alice feels that the infrastructure at her school needs further improvement; the school needs more books, learning resources and buildings, as currently classes are forced to share. It would also be useful for the school to have more wall charts to assist with the techniques outlined in the Raising Achievement programme.